I love fall: the air is fresh, the sun sits lower in the sky and the colors almost pull you outside, begging for exploration. 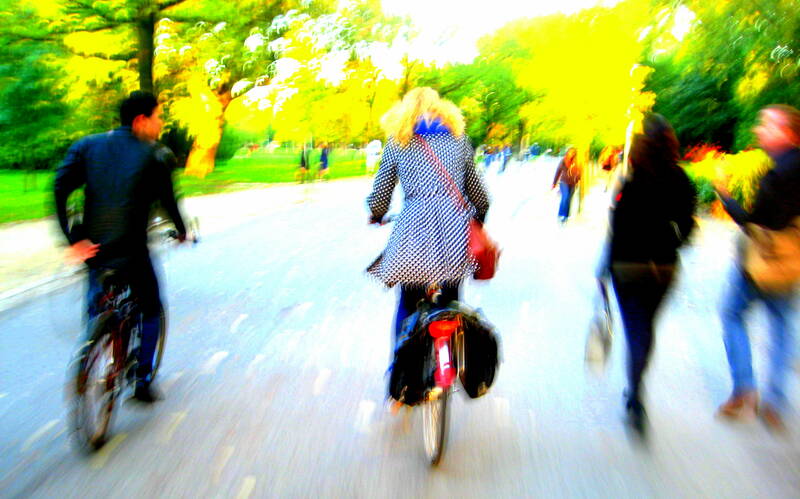 In Amsterdam, this is always best by bicycle. With the city and its surroundings turning yellow and orange, the Amsterdamse Bos (a 1000 hectare park) is a perfect destination for a cycle ride. The Bos boarders the city on one side and Schiphol Airport on the other. It’s planning genius: no one wants to live too close to the airport, but everyone loves a bit of a green space. Besides, the trees protect the city from noise and filter pollutants. The Bos is home to forested areas, grassy plains, water and bogs. Only 20 minutes by bike from my house, it’s a nature oasis boarding the largest city in the Netherlands. 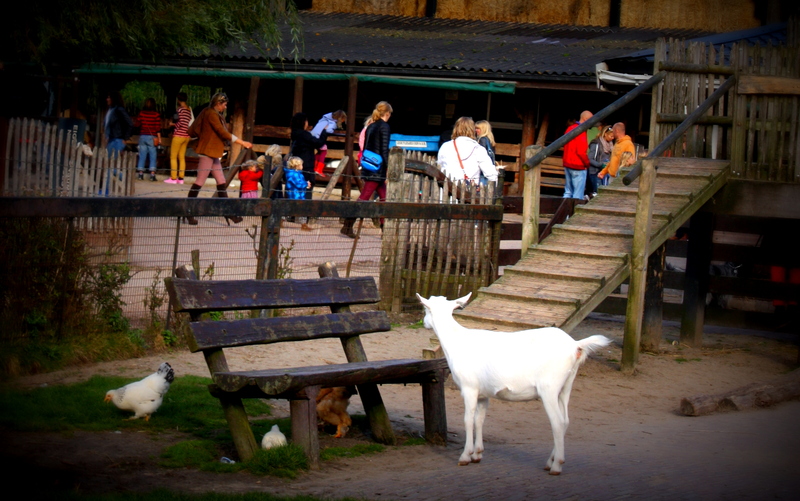 The ‘Ridammerhoeve‘ goat farm was established in 1988 by Willem Dam & Corine Riteco. It hosts 120 goats, 60 sheep, 4 cows, pigs, free-ranging chickens and bees. They produce cheese, yogurt, buttermilk, butter, cottage cheese and ice cream – all in a biodynamic way. 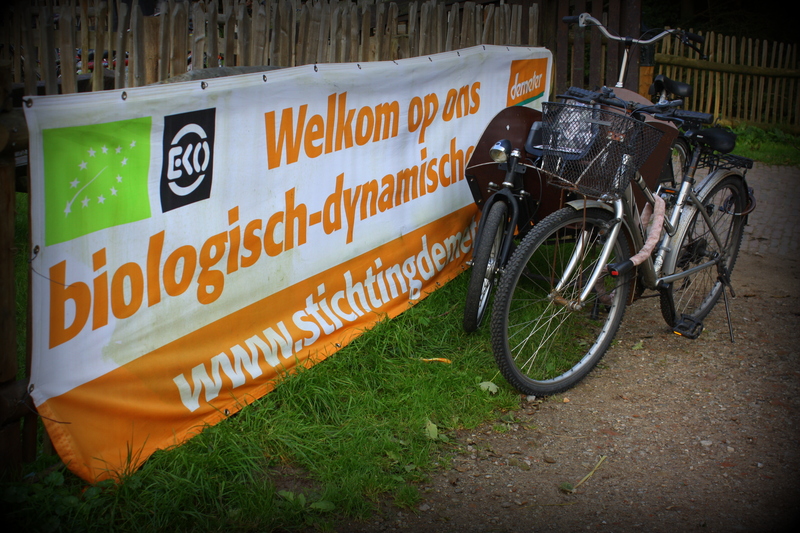 Their products are available for the Amsterdam consumer that wants to buy organic (and very local). It also hosts an educational space (where children interact with the animals), a cafe, playground and conference facilities. For Ridammerhoeve, the fertility of the soil and water, and the health of the livestock, are components of its business strategy. Animals feed on grasses and hay from behind the farm, and their manure is returned to the same fields; avoiding the need for artificial fertilizers or pesticides, facilitating closed-system nutrient cycles. The farm’s tractor is fueled with rapeseed biodiesel and a wetland filters and purifies water, naturally. Feed crops which cannot be produced on site are done in close proximity. 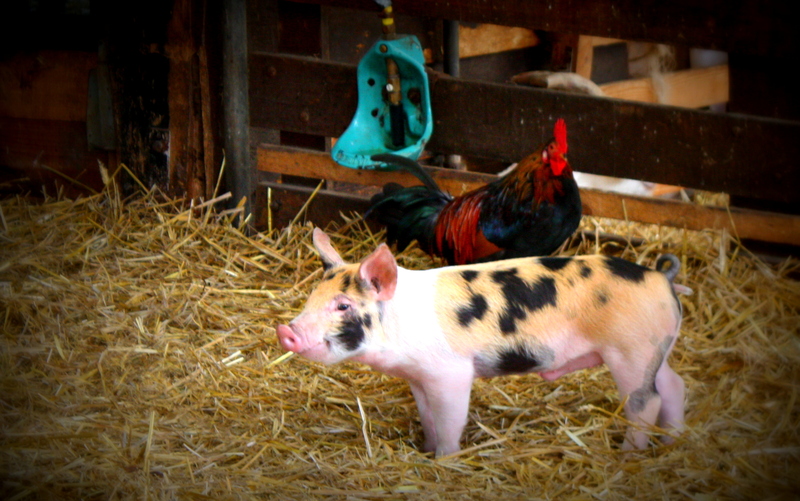 Farm animals receive organic feed and, in case of illness, homeopathic treatment (as possible). This balanced business and natural cycle is appreciated by visitors and monitored by SKAL and Demeter (certifier for organic/ biodynamic farming). All such efforts seek to reach a natural equilibrium, following the seasons and nutrient cycles. Such farming techniques, balancing food production/ consumption with quality of life and wellbeing, are growing. 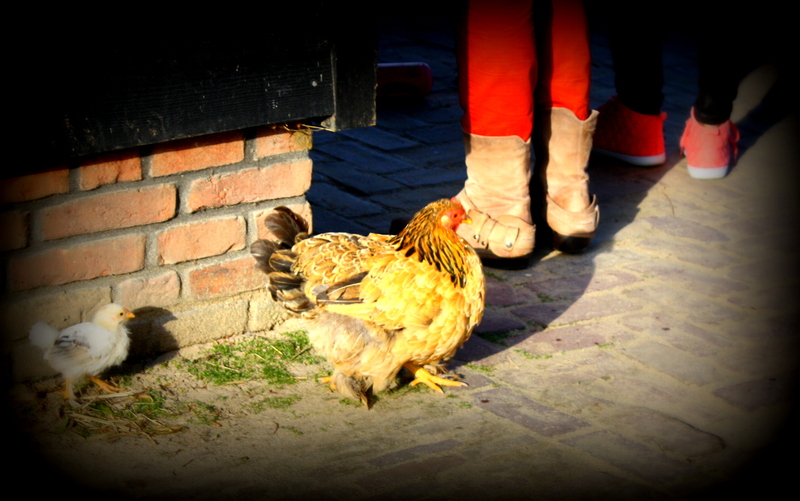 What is most interesting about Ridammerhoeve, however, is its close proximity (and accessibility) for Amsterdamers. Ridammerhoeve hosts workshops for school children in the region and welcomes visitors (grownups & children) to learn about the farm – milking goats, producing cheese or the natural cycle. It’s based on a mindset that learning about farm animals and agricultural processes will create more conscious consumers in the future. Witnessing the blissful interaction between goat ‘kids’ and human ‘kids’, I can only hope. people need to read this and understand this side of your story. It’s not my first time to visit this web site, i am visiting this web site dailly and take pleasant facts from here all the time. This is a really neatly written article. I’ll make sure to bookmark it and return to learn more of your useful info. Thank you for the post. I will certainly comeback. Hey there! This is my first comment here so I just wanted to give a quick shout out and tell you I genuinely enjoy reading your posts. articles I might state. That is the very first time I frequented your website page and up to now? Excellent post. I was checking this blog and I’m impressed!